A father and son were involved in a car accident and rushed to the hospital. On seeing the unconscious young boy, the surgeon exclaimed, ‘Oh no, that’s my son’. How can this be true? Think about it. No, the surgeon isn’t the grandfather. No, the father doesn’t possess shape-shifting powers. The surgeon was the boy’s mother. Gender bias exists and persists across the many strata of medical professions. Top-tier positions (in terms of training requirements and pay-scale) are still perceived as being dominated by men as the recent #ILookLikeASurgeon Twitter phenomenon has highlighted. At the lower end, males in the caring profession frequently experience bias in a role traditionally assumed to be held by women. A quick Google image search for ‘carer’ returns at least twenty results of female carers in action, before a male so much as appears. A ‘carer’ is here definable as someone holding a front-line domiciliary adult and elderly social care role, with its sister-career, nursing, also experiencing similar training and social bias against males. On the UK’s Radio 4’s Today Programme, Professor Martin Green said that the government needed to to do more to recruit men into these positions. The Department of Health responded saying that it would continue collaborative work to promote applications from either gender to the caring professions. 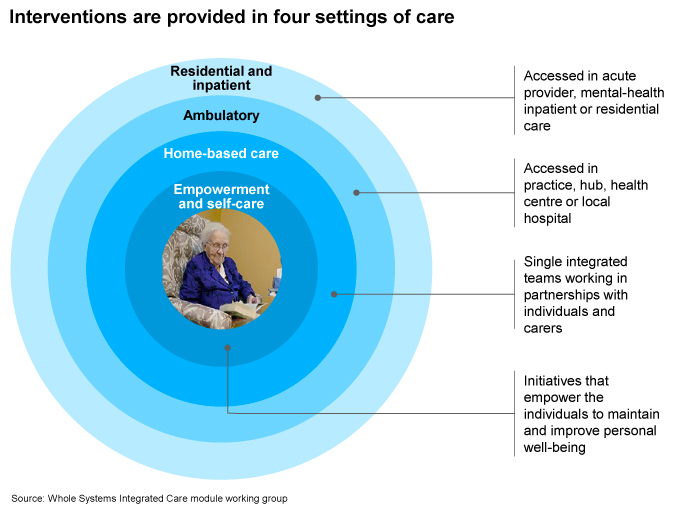 Care England, the largest representative body for independent care providers in England corroborates UK Government statistics from 2012 which have remained static. Across the caring sector 84% of represented workers are women, with only 16% men. More needs to be done, with a systematic approach to changing perceptions that care roles are female dominated and that high-end clinical professions are the domain of men. There are practical education measures that can be taken to change social perception of who delivers care. But it is not just external stigma that influences uptake and pursuit of care roles by either gender, but also personal belief systems. Skills for Care, an employer-led workforce development body for adult social care in the UK, which works with employers to ensure that the appropriate skills and values are obtained, researched this issue. They found that men were often deterred from applying to the caring profession as they thought it was associated with menial tasks. Adult social care predominantly provides for third age persons. The United Nation’s 2013 World Population Ageing Report identified that population ageing is taking place in almost all countries in the world. Ageing results from decreasing mortality and declining fertility. This dual process sees a relative reduction in the proportion of children and an increase in the share of people in the common working ages and above. The global share of older people (aged 60 years and over) increased from 9.2% in 1990 to 11.7% in 2013 and will continue to scale up as a proportion of the world population reaching 21.1% by 2050. With such a top heavy future world, the gender bias in the caring profession must be addressed. Elderly men frequently prefer male care, and for all caring professionals, fair and appropriate public perceptions must be promoted. In the UK, despite reservations surrounding its introduction, the National Living Wage should increase the number of applications from both men and women to this sector. While gender-based attitudes must be critiqued and progressed, the caring sector as a whole must seek to encourage more people to join from all walks of life. Many developed world countries already have aged populations, but the developing world is following a similar trend. As the matriarchal carer role becomes reassessed in such countries, and women demand equal career opportunities and roles, anything the national and international health communities can do to promote applicants to caring positions should be encouraged. After all, dementia and related disorders that are associated with a need for care do not solely target one gender. Our future wellbeing and healthcare support will, in part, be determined by the economic and social buoyancy of national and international caring services – a sector which cannot be undervalued. Getting behind campaigns such as #ILookLikeASurgeon offers more than just a human interest piece – such participation reshapes how we view ourselves and our career trajectories by promoting challenging and visual debate.